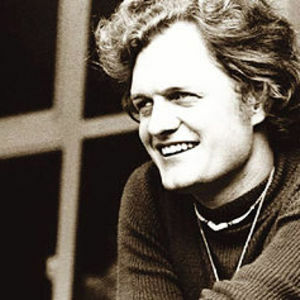 Harry Chapin (December 7, 1942 ? July 16, 1981) was an American singer and songwriter. Chapin's debut album, Heads and Tales (1972), was a success thanks to the single "Taxi". His follow-up album, Sniper and Other Love Songs, was less successful; but his third, Short Stories, was a major success. Verities & Balderdash, released soon after, was even more successful, bolstered by the chart-topping hit single "Cat's in the Cradle". He also wrote and performed a Broadway musical, The Night That Made America Famous. In the mid 1970s, Chapin focused on social activism, including raising money to combat hunger in the United States and co-founding the organization World Hunger Year, before returning to music with On the Road to Kingdom Come. He also released a book of poetry, Looking...Seeing, in 1977. His fellow Long Islanders loved him for his support of local artists, as well. He and his wife Sandy raised funds for the Performing Arts Foundation, a now-defunct local theatre group. They also supported the Long Island Ballet. The band shell at Huntington's Hecksher Park is named for Harry Chapin. Chapin died on July 16, 1981 in an automobile accident on the Long Island Expressway at the age of 38. He was headed west from Huntington Bay, where he lived with his wife and three children, to perform a concert in Eisenhower Park in Nassau County when his car was struck by a truck. An autopsy showed that he had suffered a heart attack, but it could not be determined whether that occurred before or after the collision. Supermarkets General, the owner of the truck, paid $12 million in the ensuing litigation.